The recent Pakistani film – Janaan is making waves around the country and further. The film is IRK and ARY Films productions. Revolving around the Pakhtun culture, the main purpose behind Janaan is to put a light on the good things of Pakistan, globally, rather than just showing the negative things. This romantic comedy has kept people mesmerized. A storm of compliments and wishes have flooded the social media for Janaan, but there is one more person who wants you to come and grace the cinemas with your presence. Ziauddin Yousufzai tweets about the phenomenal work that team Janaan has flaunted, its an honor to be noticed by people who are all about the betterment of our society. 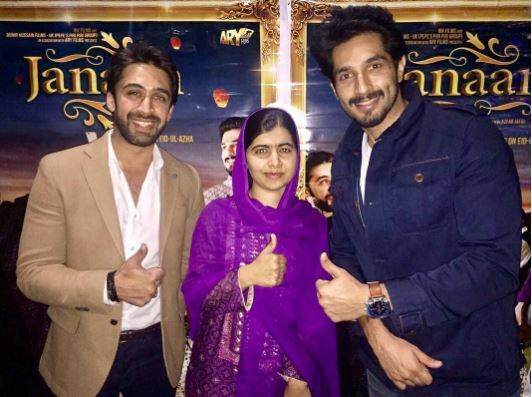 Malala Yousufzai wished Janaan in this short video clip, she urges everyone to come and watch the movie. The young Pakistani activist is the motivation for many, and we all are aware of her bravery. 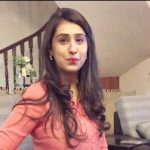 ARY Films is exhilarated and we absolutely love her for all the wishes. It’s not everyday that names like Malala partake in your triumph, so don’t miss out on Janaan and book your tickets now! Anabiya – Will Justice Be Served?